Master Gorino was born in Buffalo, N.Y. in 1956. When he was 10 years old his brother began studying Judo & Jiu Jitsu. Master Gorino also wanted to study a martial art but could not due to financial constraints. He was an accomplished musician on trumpet and piano. So he concentrated on his schooling and trumpet and earned a scholarship to the Berklee College of Music in Boston, where he received a Bachelor’s degree in Music Education. Gorino then pursued a career as a professional trumpet player in Las Vegas and later, Los Angeles. All this while he never lost the desire to study a martial art. Later on Master Gorino also earned his Masters Degree from SUNY at Buffalo. He first began studying Kung-Fu and later Karate, specifically Isshin Ryu. When the Isshin Ryu school closed Master Gorino met Master Chung Soo Kim. Master Kim taught the World Tae Kwon-Do Federation style of Tae Kwon-Do and under those auspices Master Gorino achieved the rank of 1st Dan. He began competing regularly, enjoying many success and Grand Championships. Master Kim moved to the Philippines forcing Master Gorino to look for another Tae Kwon-Do school. This is when he met Robert Summers. Gorino watched a few of his classes and knew instantly that this was the school for him. Summers and Gorino began training together under the watchful eye of Master Park Jong Soo and the International Tae Kwon-Do Federation. Gorino later achieved the rank of 2nd Dan and continued to have much success on the tournament circuit. Master Gorino’s involvement in Tae Kwon-Do had grown to where he needed to be a full time practitioner and wanted to open a school of his own. 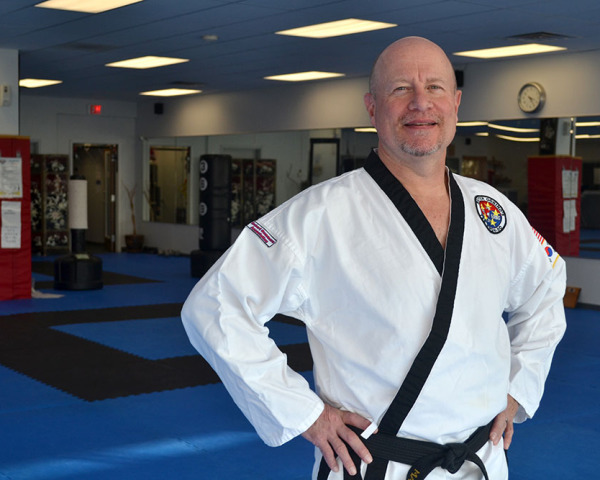 Maintaining ties with Master Summers, Gorino opened the school as a “Robert Summers School of Tae Kwon-Do.” Within the first year of opening his school, he was told by Master Summers that it was time to take his 4th Dan test. Upon earning the rank of 4th Dan (1994) Gorino was awarded the title of Master. Master Gorino’s love of Tae Kwon-Do is still evident by the fact to this day, he teaches all of his students. Master Gorino went on to earn the ranks of 5th (2000) and 6th Dan (2006) under Master Robert Summers and the USTW. Master Summers had since moved to North Carolina so Master Gorino returned to train with Grand Master Jong Soo Park in Toronto. Grand Master Park is one of the original Pioneers of Tae Kwon-Do and the world’s leading authority on the original form of Tae Kwon-Do. On April 13th 2013, Master Gorino tested under Grand Master Park and received his 7th Dan. He also tested again in front of the Professional Martial Arts Educators Association’s Promotions Board and was awarded his second 7th Dan on May 5th 2013. Master Gorino did this by his own choosing as an example to his students of never taking the easy path. Master Gorino is always concerned about each and every one of his students, making sure they are doing well in school and at home. Master Gorino has been the proud owner of Master Gorino’s Pil-Sung Tae Kwon-Do for 20 years and has been training in the martial arts for over 35 years. He has dedicated his life to Tae Kwon-Do and helping people become their very best through this great martial art. Grand Master Park is Master Gorino’s current teacher. Master Park was born in 1941 in Chung-Nam, Korea. He holds a 9th Dan black belt in Tae Kwon-Do. He began training at the age of 14 and through hard work and effort he progressed. Later he became the instructor of the Police Training Centre of Chun Bok in Korea and of the famed Tiger Division of the Korean Army. In 1964, he became Korean National Champion, and in 1965 he made a trip on request of the Korean Government, as a member of the Goodwill Mission for Tae Kwon-Do, demonstrating this art before the highest civil and military authorities of the countries they visited. In that same year, he was invited to Germany as the coach of the German Tae Kwon-Do Association. In 1966, he left Germany to go to Holland where he founded the Netherlands Tae Kwon-Do Association. In the beginning of 1968, he left for Canada and now has his own schools in the Greater Toronto Area. In November 1973, Master Park made another world trip to promote Tae Kwon-Do in Europe, the Middle East and North Africa. Master Park is known as one of the world’s greatest Tae Kwon-Do experts.